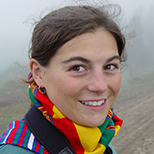 Stephanie Dloniak is a biologist and writer based in East Africa. She studies the behavioral ecology of carnivores and writes about wildlife and the environment. She has a Ph.D. in ecology, evolutionary biology and behavior and is an adjunct assistant professor of zoology at Michigan State University. Can mock hunts save lions’ lives?